Big Sean puts his own spin on the shell-toed hoop silhouette. In recent years, we've seen sneaker brands turn up the dial on partnerships with rap artists in an effort create new energy, increase visibility and appeal to newer generations. One of those brands is adidas Originals, whose ties with the hip hop community go back almost three decades. In fact, Run DMC's ongoing relationship with the 3-Stripes has been by far the most recognizable hip hop sneaker collaboration, and Originals looks to replicate some of that success in a new project with G.O.O.D. Music's Big Sean. Earlier today, Big Sean previewed his new adidas Originals shoe on Instagram. He's generally favored the OG Pro Model, so that silhouette has been retained. 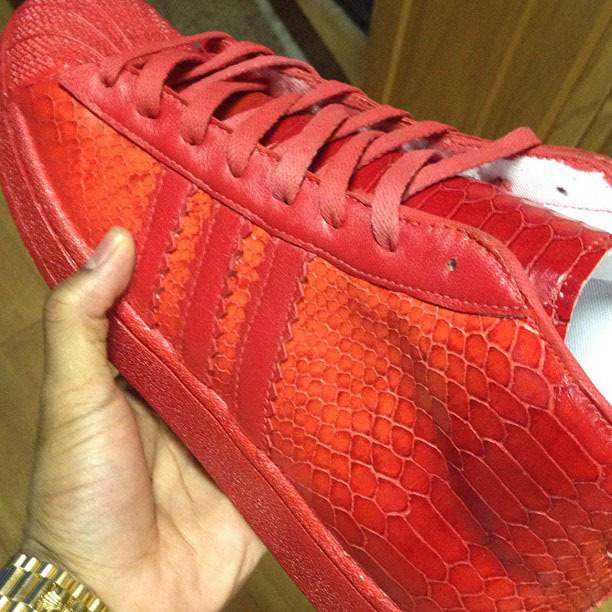 The shoe also features the iconic rubber shell toe and an all-over red snakeskin texture. White textile lines the interior on this pair, while a red rubber outsole wraps up the look below. 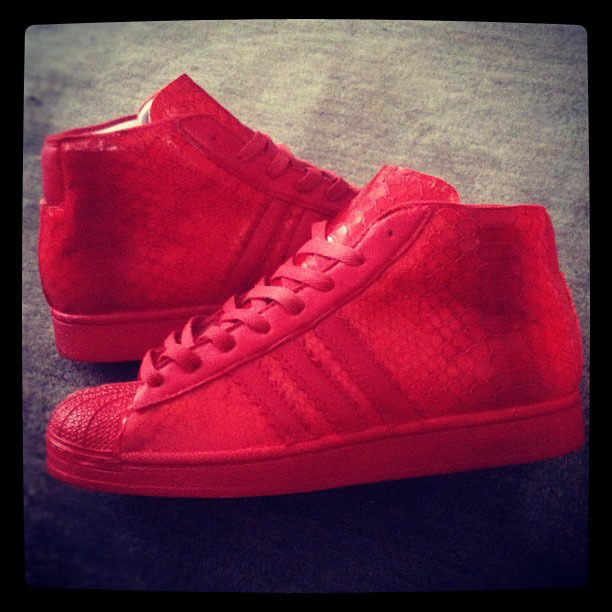 With the photo, Sean added the caption, "These are the red edition of my shoes droppin with Adidas. Detroit Players! Red on Red." No drop date yet on the Big Sean shoe, but we'll continue to keep you posted as new information becomes available.